Having lived in several HUMBLE abodes while growing up in rural Alabama, I appreciate all the modern conveniences in new houses including electrical wall plugs. 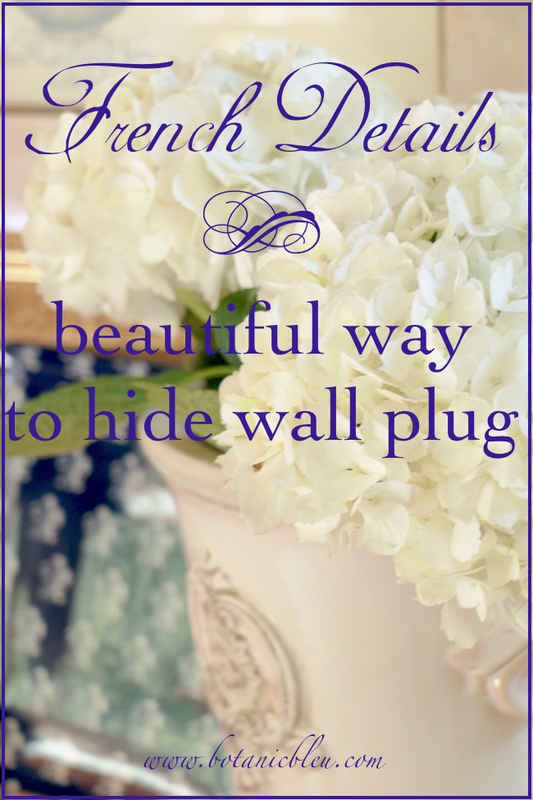 However, I do not like wall plugs to take center stage in my French-inspired garden and home. 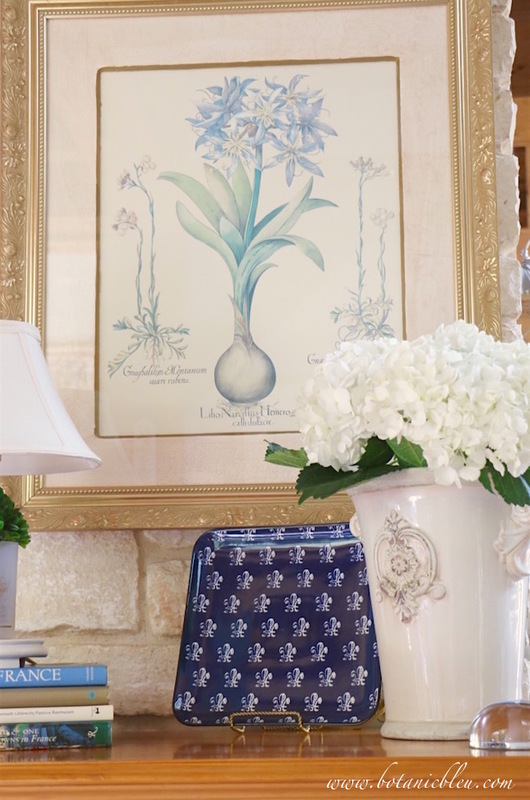 French-style white ceramic pots filled with "garden grower" extra large white hydrangeas are meant to be the center of attention in my modern home. The large medallion on the vase/pot is much more pleasing to see than a conveniently-placed wall plug. When I sit on my comfy blue-checked chair to read the day's mail, the latest British Country Living magazine ( I know, British, not French? ), or the most recent post from my favorite bloggers, the pine chest at the end of the fireplace is directly across from me. Visible from both the living room and kitchen, I regularly update the arrangement on top of the pine chest for both guests and myself. This is my view, slightly looking up since the chair is low, when I sit in my favorite blue-checked chair. 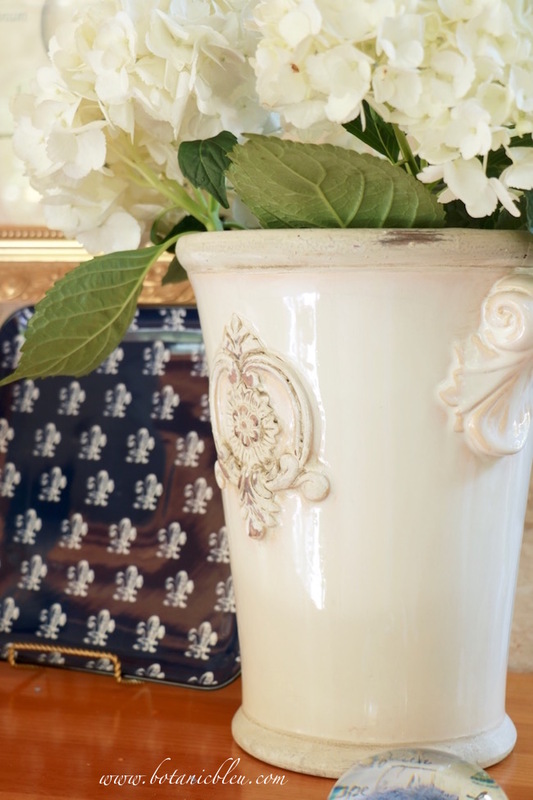 Frequently the top of the chest is decorated with items that blend the current season/holiday with French design, like the early summer DIY French Coastal Banner. Flowers also make regular appearances to breathe life into still groupings... and into me. Early August is still high summer in north Texas, usually with no signs of relief from sweltering heat. 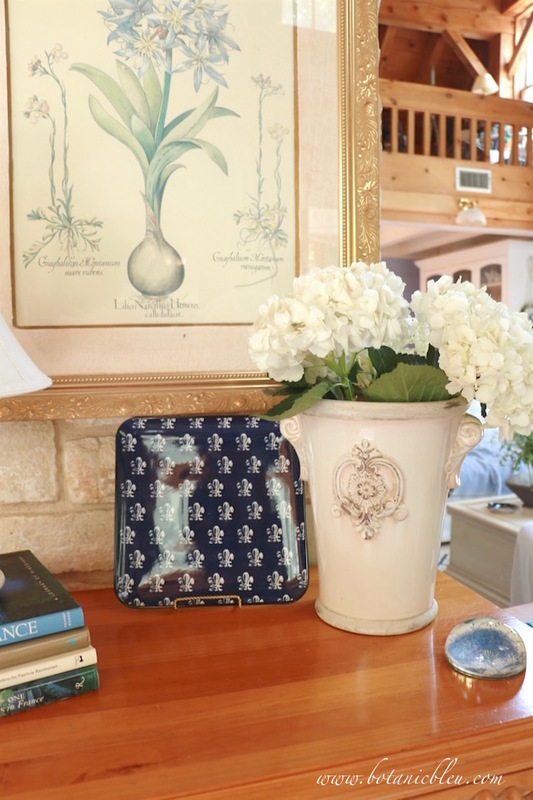 I create my own heat relief by using French design with cool whites in flowers, in vases, and in fleur de lis marching across a square navy plate. Whenever I look up from reading, what's on top of this chest brings joy to my day. What I do not like to see is the wall plug. The location is convenient. High on the wall makes the sockets easy to reach to plug in the lamps instead of struggling to reach a wall plug low on the wall behind the pine chest. With just a little work, objects can be placed to hide the wall plug.... every time. Occasionally, the objects have to be repositioned after someone plugs or unplugs a cord, but that is easy. Two things are important in being able to place objects in front of this wall plug to hide it. The chest of drawers must be positioned so that objects can be placed at the far end of the chest to balance the entire arrangement on the chest. Right now the chest is not at the best place because it was moved during the floor refinishing process. 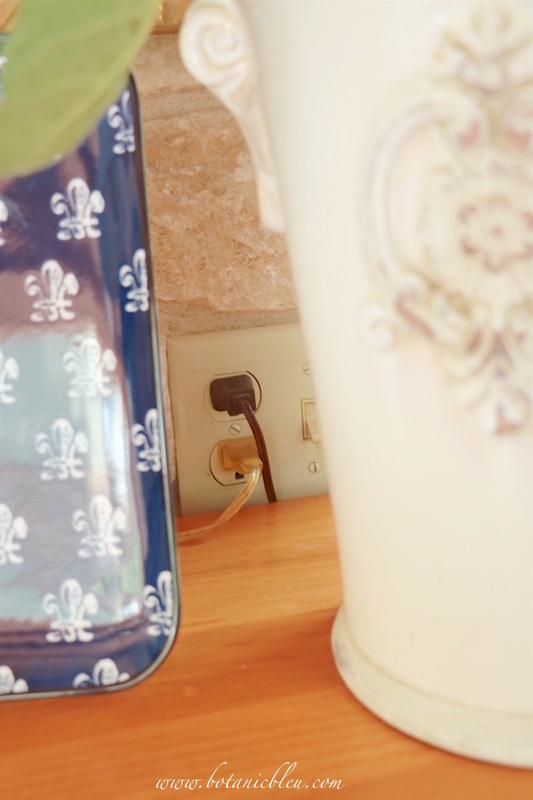 If you want to hide a wall plug of your own, you will probably want to experiment with where to place your furniture to find the best spot for the furniture to hold arrangements that hide the wall plug. Sometimes only 2"-3" will make a big difference. 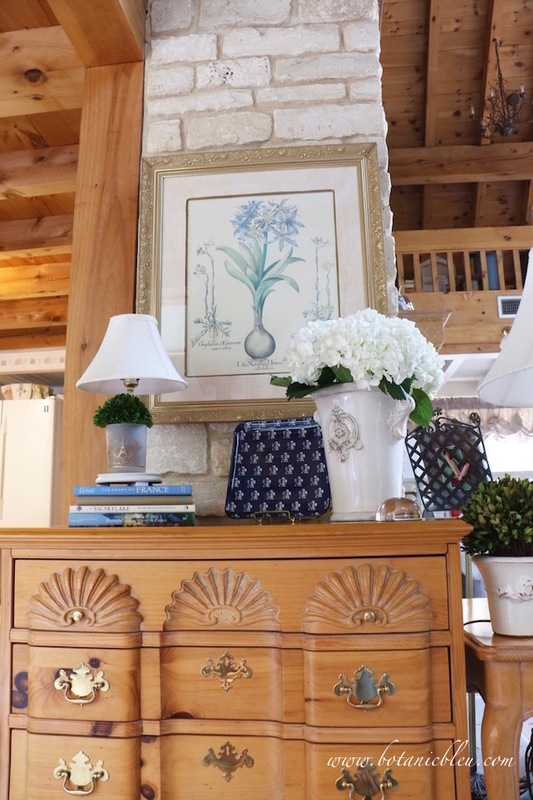 Even when one item is large, like the French design flower vase, it usually takes placing two items to hide this wall plug when viewed from different vantage points. Usually one item needs to be placed forward and another item placed toward the back. 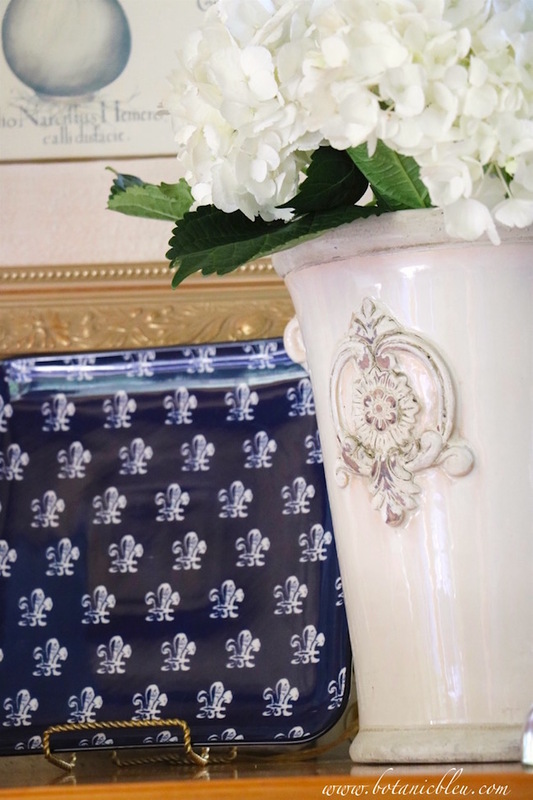 For example, the large French design flower pot is slightly in front of the navy blue square plate. Houses now have hot and cold running water at the touch of beautiful faucets... in several rooms... kitchen, master bath, guest bath. No carrying water in a bucket from a well or from a spring down the gravel road. Beautiful chandeliers provide abundant light anytime on a cloudy day or in the middle of the night. No exposed braided electrical wires dangling a bare 25-40 watt light bulb. Central heat and air conditioning regulate the entire house's temperature. No open fireplace or coal/wood burning stove that roasted one side with the other side shivering. No banging screen doors that captured a slight cross breeze... on occasion. All filled with beautiful furnishings that allow unsightly wall plugs to be hidden with beautiful French design objects. Oh, how times have changed... for the better. Judith, I do the same thing with my outlets. In the kitchen mostly, I use.breadboards. I'm loving my porch and will send you photos soon. I use my French pots inside and out. I LOVE them. Praying for rain today! Have a great week! Outlets are a problem aren't they! You cleverly disguised your outlets. I am amused to see lamps sitting on tables in magazines and not plugged in to an outlet in the picture. They are a necessity but I am annoyed to see them in pictures. Maybe one day technology will also emphasize beauty as well. Thanks for your visit to my blogpost on butterflies. 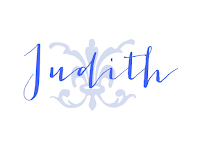 I appreciate your comment very much,Judith. It is so clever to have the outlets a bit higher on the wall. I often struggle with the placement of our low outlets. The vignettes to cover them are gorgeous! I still have to work out about 10 more kinks. Hopefully, it will be fully fun and functioning by next week. Let me know if you have any issues. I appreciate any input. 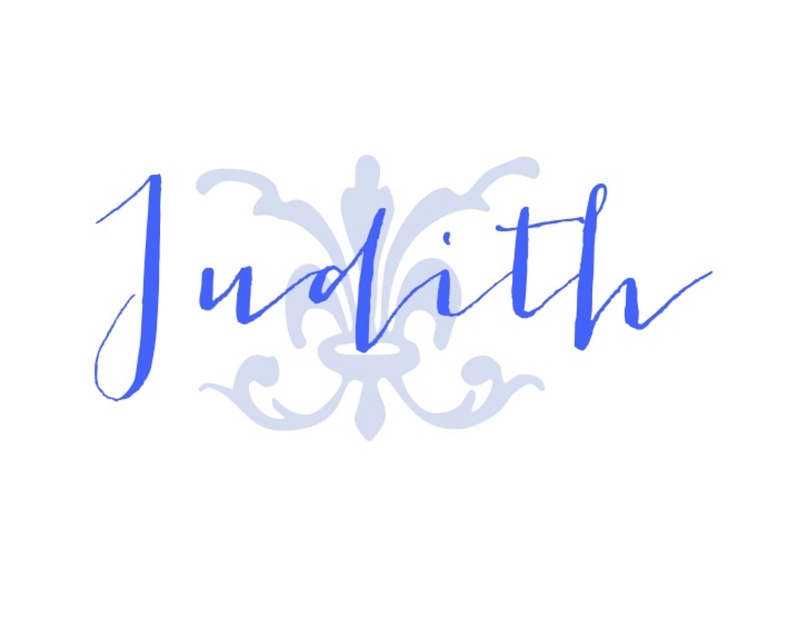 Judith, this just couldn't be any prettier. Your pine chest is wonderful and I love what you've placed on top. 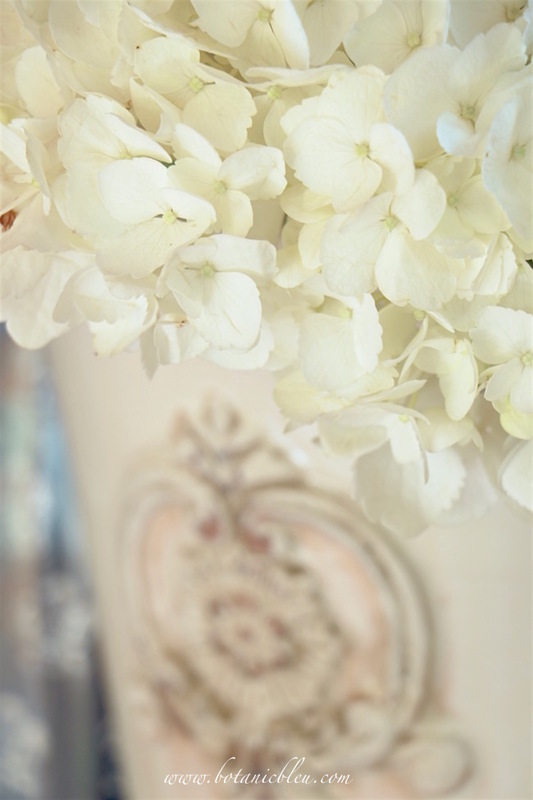 The white pot and the white hydrangeas are perfect! I love to hide the plugs with something pretty too. That's always an issue in the kitchen but a well placed jar or plate on a stand usually does the trick. 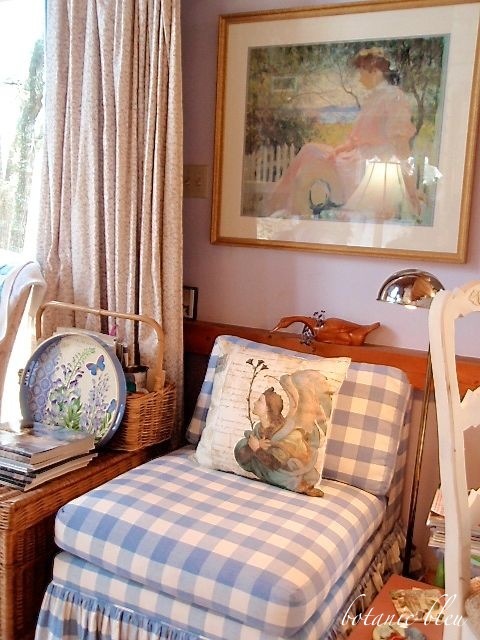 Love that blue and white check chair! Enjoy your Sunday!